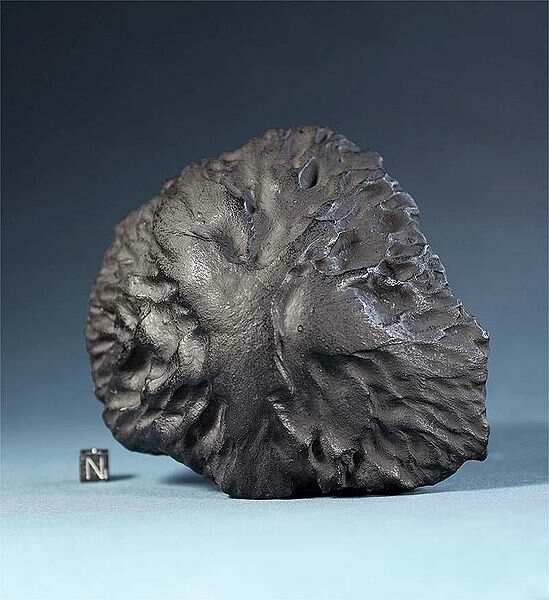 The original piece of this lovely oriented meteorite cannot be bought, and is one of its kind. Currently displayed at the York Museum. An awesome nosecone developed as the meteorite maintained stationary throughout its decent. Fell 14 March, 1881, even casts such as this became a collector's item, available only to the quick and the deadly. I think I'm just devilishly lucky to acquire this at any moment's notice.